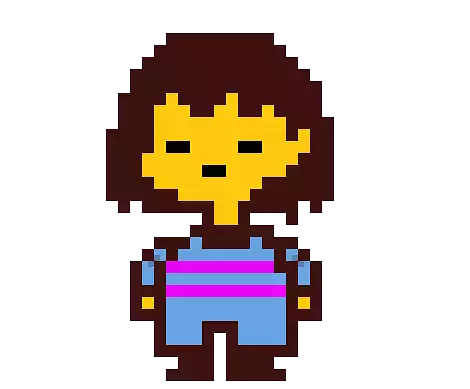 Frisk is the player character in Undertale. The game’s narration and characters all address them with “they/them” pronouns, pointing to an ambiguous gender identity. This entry was posted in 2010s, Characters, Non-binary or genderqueer, Non-binary or Genderqueer (explicit), Playable Character on February 12, 2017 by Adrienne Shaw.